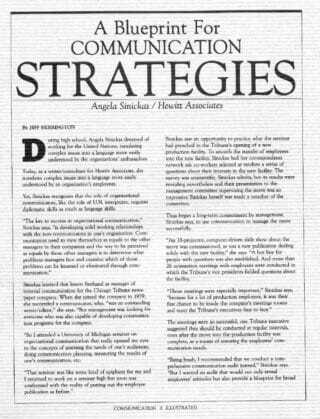 A Blueprint for Communication Strategies - Sinickas Communications, Inc. This article was originally published in Communication Illustrated , interview by Jeff Herrington (1984). Organizational communicators should be the lightning rods of their organizations. They need to be sensitive to the ideas and opinions being expressed within the organization and use that information to develop credibility and esteem with senior management.